Home Dehumidifier How Does a Whole House Dehumidifier Work? During summer or in a humid region, the humidity level tends to be at a very high side. 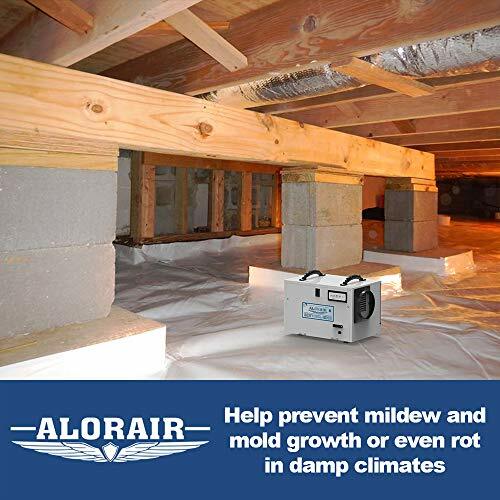 Excess moisture humidity could obviously result in the growth of mold and dust mite in your home. Of course, we may not have an easy way to this effect outdoor, but we can battle it greatly inside our home. Luckily, installing a whole house dehumidifier will reduce the humidity to a comfortable level. That way, it provides more comfort and protects your home from the harmful effect of excess moisture. Not only that, but it will also help you’re A.c unit function better thereby preventing it from wearing out. But one big question is how does a whole house dehumidifier work to moderate the overall humidity inside your home. Not to worry, we will provide you with great insight into the operation process of the whole house unit. However, before moving into that, let’s look into the sole purpose of a dehumidifier. What is a whole house dehumidifier? Do I need a Whole House Dehumidifier? Why Do I Need To Install A Whole-House Dehumidifier? First, it reduces the humidity of the air that disperses into your indoor space. This unit pulls in the moist or warm air that passes in the ductworks. The unit then cools the air to reduce excess moisture and to make the air dry. 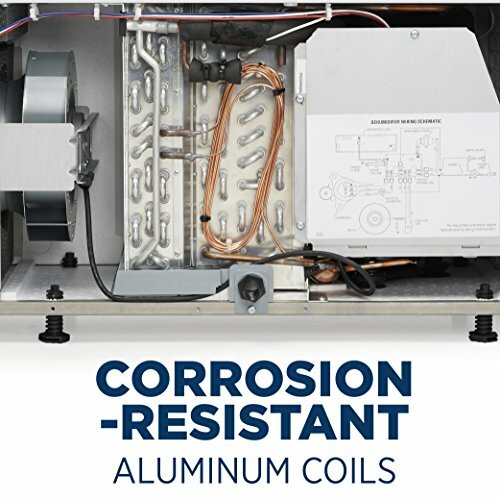 As a result, the excess moisture in the air condenses into water and drips down to a water collection tank or drains out directly. Continuously, the dry air then flows through warm coils to moderate the air temperature. It then disperses into your room to keep you comfortable. A whole house unit can reduce the overall humidity of your home faster when compared to the portable unit. The whole house unit can perfectly fit into any new and existing houses that have a ductwork. 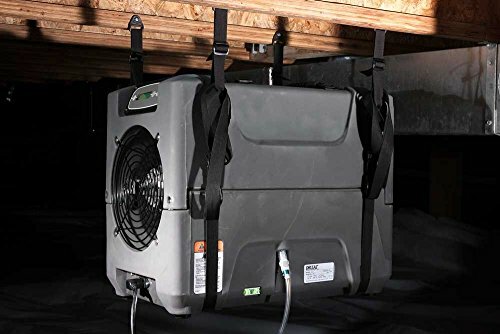 An Expert installation with the right size of a whole house dehumidifier will offer great effect in moderating the humidity. The wrong installation may result in poor efficiency racking up your power bills in the long run. Hence, always consult an expert to carry out the installation. Let’s face it, before using a dehumidifier, kindly check the prevailing humidity in your home with a hygrometer. If the humidity observed attains a level above 60%, of course, the indoor has high humidity. Excess moisture or high humidity could result in a lot of harmful effects to your health as well as your home. Other ways to check this: If your skin feels damps, or the walls display wet feels, this means that the room has high humidity. Adjusting your thermostat could as well help to reduce excess moisture but could be stressful as you will have to do this frequently. Hence, to avoid the hassles is best to install a whole house dehumidifier. Protection against Harmful effects: dehumidifier will help to get rid of mold, dust mite, and mildew that could trigger allergy reaction. Dehumidifier will provide a great benefit in your home. Here is what it offers. It saves energy consumption: obviously, using an air condition could rack up your bills. But integrating the unit will help to substitute the air conditioner in some days. During cooler days, you may not need to run your AC to keep your room at a comfortable level. Hence, you can run the unit to reduce moisture and to keep your room air at a comfortable level. That way, you save more on your energy bills. Comfort: reducing excess moisture will make your skin feel better and keep the air cool in your room. Save stress: Using a portable unit requires moving it from room to room to maintain optimal humidity. But with this unit hooked up at your ductwork, it keeps your entire home comfortable all at ones. Previous articleHow to Use Vicks Starry Night Humidifier ? Next articleHow Does Charcoal Dehumidifier Works?